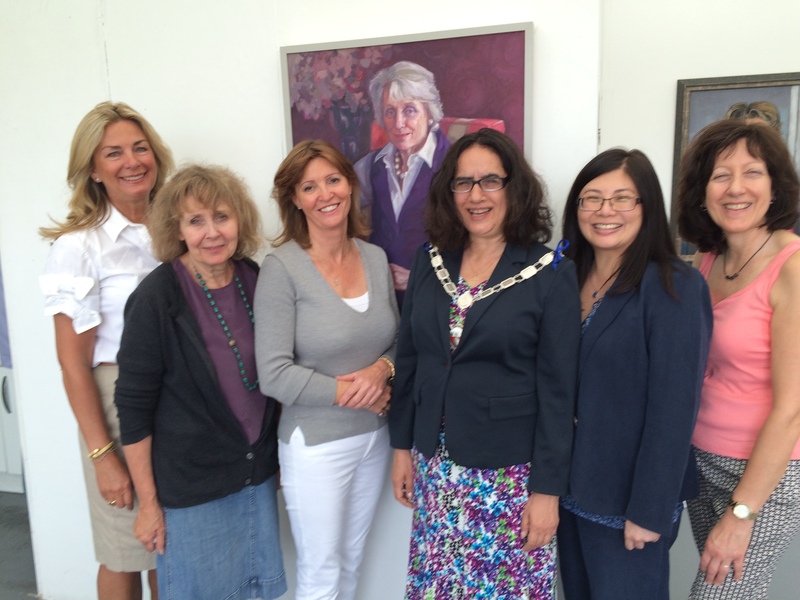 The Deptuy Mayor of K&C Cllr Rossi enjoyed a private view of Portrayed at Heatherley’s on Monday 3 August. The Lots Road Group is delighted to announce that IWF UK Portrayed! 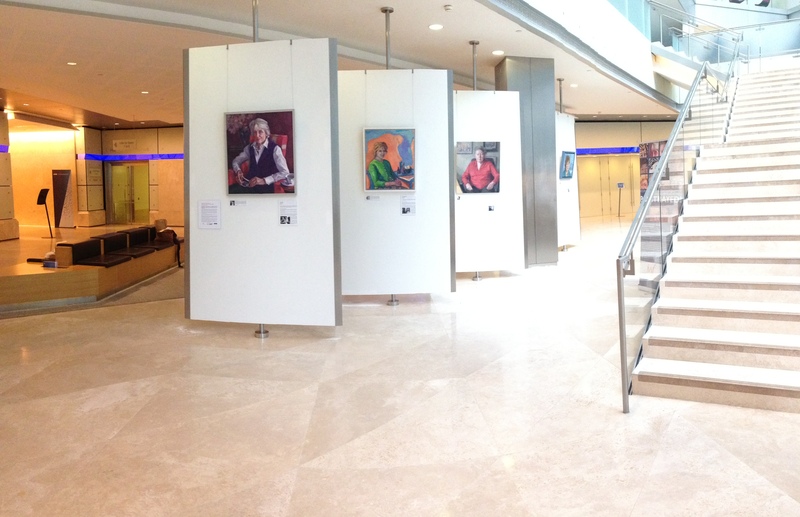 25 years of inspiring women has now left Heatherley’s on the next leg of its tour – and opens this morning at KPMG’s London Office at 15 Canada Square until Friday 18 September for clients. 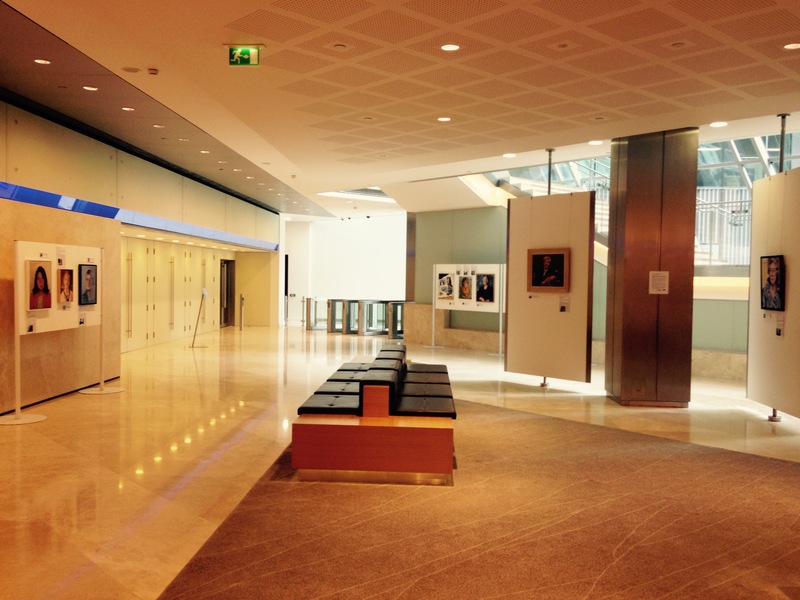 Our thanks to KPMG, to Susan Young, former chair of IWF UK who made this collaboration with the Lots Road Group possible, to KPMG’s Nicola Dennes and Chair of affiliated network ELN – and to Tom O‘Neill for his expert curation. 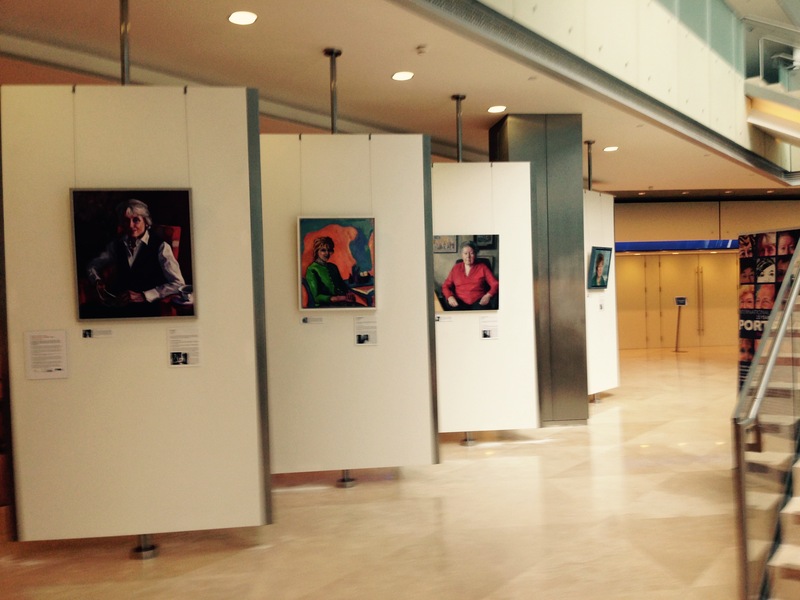 The International Women’s Forum UK – an organisation of eminent female leaders – is commemorating its first quarter century with a portrait exhibition at KPMG’s London office, featuring 16 of its most inspiring women. 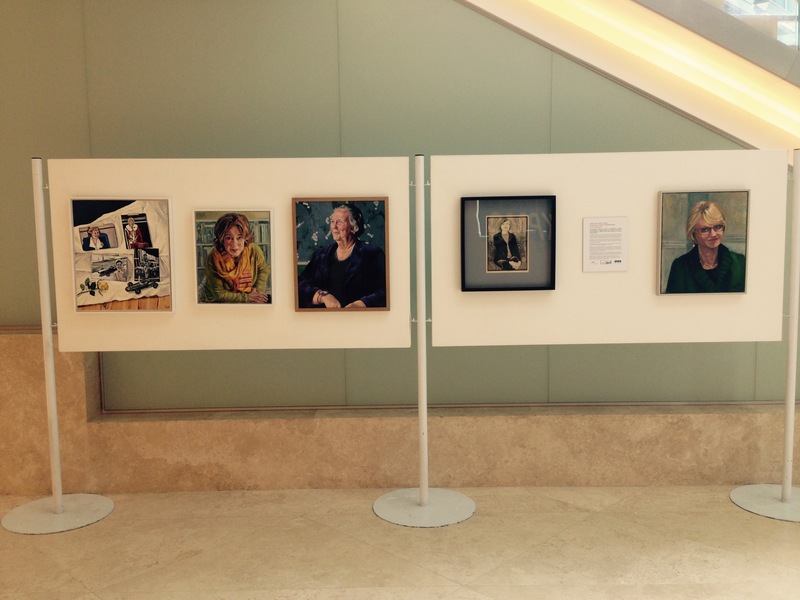 The exhibition, which features four of IWF’s founders and first 12 Chair’s, includes portraits of champion racing driver Jean Denton, the first woman to hold a ministerial post at the Northern Ireland office; Barbara Hosking, former speechwriter for Harold Wilson; Rosalind Gilmore who was private secretary to five Cabinet Ministers; and Observer columnist Katharine Whitehorn. The portraits, executed in oils or print, show the acute powers of observation and attention to detail instilled into the Lots Road Group of artists, who met at The Heatherley School of Fine Art in Lots Road, Chelsea – one of the few art colleges in Britain that focuses purely on portraiture, figurative painting and sculpture. IWF UK is part of the International Women’s Forum, an organisation which advances leadership across careers, cultures and continents by connecting the world’s most pre-eminent women of significant and diverse achievement. With over 5000 women leaders across six continents and 33 nations, the IWF has unprecedented global reach to exchange ideas, learn and inspire, and promote better leadership for a changing world. The Lots Road Group was established in 2013 to facilitate camaraderie and provide a platform for exhibiting and maintaining professional networks. It comprises 18 figurative artists who work in varied styles and differing media: oils, pastels and print. Motherhood was their theme in 2014. KPMG in the UK, is a leading provider of professional services including audit, tax and advisory. The UK firm has over 10,000 partners and staff working in 22 offices and is part of a strong global network of member firms. Our vision is simple – to turn knowledge into value for the benefit of our clients, people and our capital markets.